A Neighborhood of Time | W. Wayne B. Posted on May 5, 2013	by W. Wayne B. It brings life to the world around me. I have found a new realm. feed strange forms of life. They live unaware of light. Soon I will be walking in the moonlight. layers the fields with mist. in this new neighborhood of time. 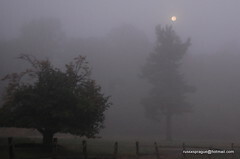 This entry was posted in Poetry and tagged fog, life, moonlight, ocean, plan, sun, time, warmth, wordsd, z1383, zenith. Bookmark the permalink.